We combine loyalty to the tradition with flexibility in adapting yoga to the needs of each practitioner. We encourage new scientific and technical achievements to help extend knowledge about yoga and make its methods accessible to everyone. This type of philosophy is attracting more and more followers, as many practitioners begin to study physiology and therapeutic approaches in order to interpret yoga better and understand how it influences their body and mind. They tend to boost the efficiency of their practice, rationally describe their personal positive experiences, and share them with their colleagues, students, and friends. Yoga research has ceased to be the prerogative of only scientists. Academic bodies help to progress applied and fundamental research, following stringent scientific criteria, while verifying and testing the results. Each participant will have an exclusive opportunity to present their work! All options on Dmitry Baryshnikov's site. 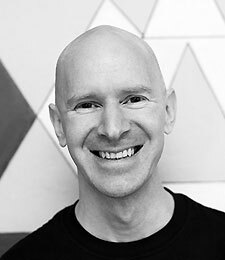 Eddie Stern is a mastermind of this conference, the founder and teacher of Ashtanga Yoga New York and Brooklyn Yoga Club, a devoted student of Sri K. Pattabhi Jois (1991-2009), the translator and publisher of “Yoga Mala” by Pattabhi Jois. He is one the publishers of “Namarupa. Categories of Indian Though” magazine. Eddie Stern and his team have developed a number of courses for yoga schools and wellness centres. These courses became the basis for his research into the physiological aspects of yoga and how yoga influences attendance, emotional well-being, stress relief, discipline, and also hypertension. He is one of the developers of the iOS Breathing App. For several years Eddie Stern, together with Marshall Hugins, have been actively dealing with issues and problems which emerge from the interaction of science and yoga. The conference, which was held in New York last spring, became the result of this work. At the conference in Moscow we will continue discussing these aspects from the point of view of the scientific community of Russia and CIS countries. The fact that yoga works is obvious and clear for a large number of practitioners. Do we need science to prove it? What should it prove in the end: does yoga really work? how does yoga work? what does yoga work for? In his welcoming speech Eddie will formulate his vision of the answers to these questions. He will speak about the value of scientific research and the evidence of yoga and meditation effects. Eddie will talk about the censorship in research publications on yoga and modern marketing in this field; about the researchers who unfolded negative results and made a decision not to disclose them; about the scientists who are subjected to the pressure from their sponsors, magazines, and mass media which only expect to see positive results (even with low quality methods used); and we will discuss whether we should take some obvious things for granted or not. Resonance is a scientific definition that describes what happens when our heart rate, vasomotor system and brainwave frequency become coherent. It occurs spontaneously when our respiratory rate reaches the level of approximately six breaths per minute. This is the rate of breathing that Buddhist monks and yogis naturally enter into while meditating. There are many apps that measure heart rate variability, or give guided breath meditations. But it is hard to find the one which is not too complicated and overdesigned with sensors, tracking systems and used for goal-setting activity. Eddie wanted this app to be simple, well designed, and wished to do one thing: regulate a proper resonance frequency of six breaths per minute. So, Eddie with his team decided to create and make the app useful for people who wanted to practice and guide resonant breathing for several minutes every day. Sergey is a PhD in Psychology, the head of Institute of Traditional Healing Systems (Moscow), the chairman of Moscow Yoga Therapy Community, the member of International Association of Yoga Therapists, he has a medical degree in Physiotherapy and Therapeutic Physical Training, a specialist in traditional healing systems, a certified instructor “Emergency First Response”. He has practised yoga since 1988 and had a teaching experience since 1993. Sergey studied with Bal Mukund Singh (Moraji Desai National Institute of Yoga, Delhi), A.G. Mohan (Svastha Yoga and Ayurveda, Chennai), Sharat Arora (Himalayan Iyengar Yoga Centre, Dharamsala), he is certified by International Yoga Federation. Sergey Agapkin is a teacher at the “Moscow Ashtanga Yoga Centre” teacher training course and at “Yoga Federation” in Moscow. He is the founder and a leading methodologist in Yoga Centre in Ryazan. 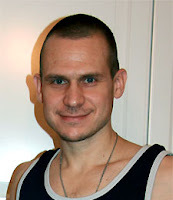 Also Sergey is the founder and a senior instructor at Agapkin Yoga Station. To evaluate the mechanical power of Surya Namaskar based on a heart rate efficiency. To evaluate the influence of breathing exercises on a heart rate efficiency during Surya Namaskar. To design an algorithm for a heart rate efficiency in Surya Namaskar by changing the tempo of practice. Natalya is a Doctor of Medical Sciences, a Professor at the Department of Physiology at Russian State University of Physical Education, Sport, Youth and Tourism (SCOLIPE). She graduated from Volgograd State Medical Institute, finished a postgraduate program at the Department of Physiology under the supervision of Konstantin Gavrikov, an academician of Medical Academy of Science, Doctor of Medical Science, a direct disciple of P. K. Anokhin; and Clara Sergeeva, an honored figure of science, Doctor of Medical Science, an honorary professor of Pavlov First Medical Institute) with a degree of a Candidate of Science. An associate professor (since 1997) at the Department of Physiology at Volgograd State Academy of Physical Education under the guidance of the professor S. N. Kuchkin. In 2004 she defended her doctoral thesis. Since 2006 she was an associate professor at the Department of Physiology at SCOLIPE and in 2008 she became a professor. 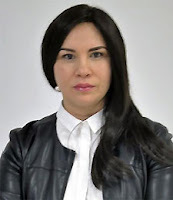 Natalya is the deputy head of the Department of Scientific Work supervising the research of the Department, as well as training programs for master degree students (“Human adaptation to physical activity”), applicants and postgraduate students. She constantly improves her professional skills, actively explores scientific techniques that reveal the regulatory mechanisms of adaptation (of adults and children) to physical activity. Natalya developed a series of lectures on “Sport physiology”, practice manuals of general and sport physiology, programs in “Recreation and sport and fitness tourism”, “Biorhythmology”, “Physiology of higher nervous activity and sensory systems”, “Age physiology”, “Physiological foundations of gerontology” textbook. Natalya has over 340 publications: 164 articles and abstracts (more than 50 in the journals approved by the Higher Attestation Commision such as “Theory and practice of physical education” and “Physical education: basics, education, and training”), three monographs and a textbook. 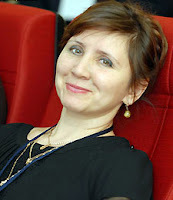 In 2012 she designed a “Method for estimation of the maximum physical performance and women functional status” (registration number №2012102802). She was awarded by the Russian Academy of Natural History and the European Scientific and Industrial Consortium. It is substantiated that the success in sport activities of gymnast-artists of different skill levels (masters of sports of international class, masters of sports, candidates sport- masters) can be described by a mathematical model, which allows to predict their functional status for a particular time period and select athletes for high level competitions. The functional parameters which determine the prognostic model are the following: the indicators of a heart rate variability, systolic (SBP) and diastolic (DBP) blood pressure, the dependence of the change rate decrease of these parameters on the low and high ranges of the spectrum of a heart rate, SBP, DBP. Alexander is an Authorised Ashtanga Yoga Teacher (KPJAYI, Mysore) with more than 10 years of teaching practice, he conducts daily morning Mysore-classes at Prana Ashtanga Yoga School. He is a leading specialist in psychophysiological rehabilitation techniques in stress management (Heart Rate Variability, Biofeedback/Neurofeedback) in International University of Neuroleadership and Coaching. 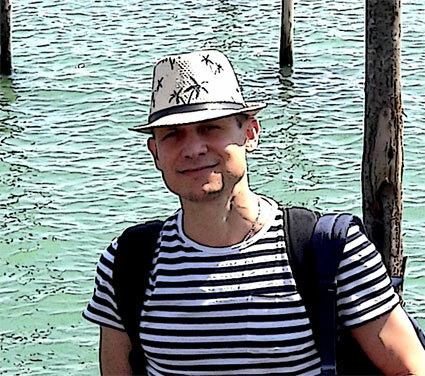 Alexander completed a postgraduate conversion course in Applied Psychophysiology at the Department of Psychophysiology of Moscow State University, specializing in Stress Management and Biofeedback/Neurofeedback. He studied Heart Rate Variability at Neurosoft at the Ivanovo Cardiologic Dispensary. Since 2007 he has conducted research into biological feedback and heart rate variability in yoga and reported about the results at yoga therapy conferences. Svetlana is the director of International University of Neuroleadership and Coaching, a coach and corporate trainer (Gallup, Center for Creative Leadership, Erickson Coaching International, etc) with more than 20 years of experience in team coaching, top-management coaching, and working in innovative branches of stress management and emotional competence, a certified mindfulness instructor (The Mindfulness Institute, University of Massachusetts Medical School, Center for Mindfulness). Svetlana has a medical degree (Semashko Medical University), studies and uses modern technology for healthy lifestyle implementation: she has undergone an advanced training in “Applied psychophysiology in stress management” (Moscow State University), a certification training course “Specialist in healthy lifestyle” (Sechenov Medical University), a cognitive behavioral therapy course, an advanced training course in “Sport psychology” (Moscow State University), a “Sleep and sleep disorders” course (Southern Scientific Center of Russian Academy of Sciences), a “ECG and heart rate variability” course (Neurosoft). She is a practising Buddhist and studied Buddhist philosophy at Rangjung Yeshe Institute in Kathmandu. Today mindfulness is a global trend. Undoubtedly, sooner or later this practice will become extremely popular in Russia. Several decades specialists in various fields of activities have used meditation as a tool for helping people to cope with challenges in their lives. The effectiveness of mindfulness practice is a scientifically substantiated fact: from the very beginning psychophysiologists, coaches, doctors, psychologists have communicated with the founders of “the full mind” practice. In psychology mindfulness can help to reduce stress and negative emotions such as anxiety, annoyance, despondency. In medicine it is used with diabetic, hypertensive, cancer and other patients and also as a method to control pain sensation. In dietetics this practice helps to stabilize eating behaviour and change a lifestyle. Business leaders use it to enhance the quality of their decision-making process. In yoga mindfulness allows to develop more awareness during the practice. But is this method so universal? We will try to shed light on how mindfulness helps to bring improvements in such diverse areas of life. Historical roots of mindfulness and its contemporary framework. Research in the field of neurosciences: how mindfulness influences the brain and the body. What does it mean to be in the present moment and why is it so difficult just to be? Mindfulness: is it the practice of awareness or the attention training? Meditation as a training for the mind and a universal basis for the method. How to respond to life changes and live with more freedom and wisdom.